London, UK – Following its continued success year on year and an ever increasing demand for tickets, the UK’s leading, South Asian high fashion extravaganza, Aashni + Co Wedding Show 2018 will return bigger and better than ever before, taking place at the iconic Somerset House, London on 21st January 2018. After three successful residencies at The Dorchester, Mayfair and continuing to surpass itself each year, Aashni + Co Wedding Show 2018 will transform one of the UK’s leading cultural venues, Somerset House, into a wonderland for discerning brides and fashionistas alike, setting a landmark precedent in the South Asian fashion and bridal sector in the UK. 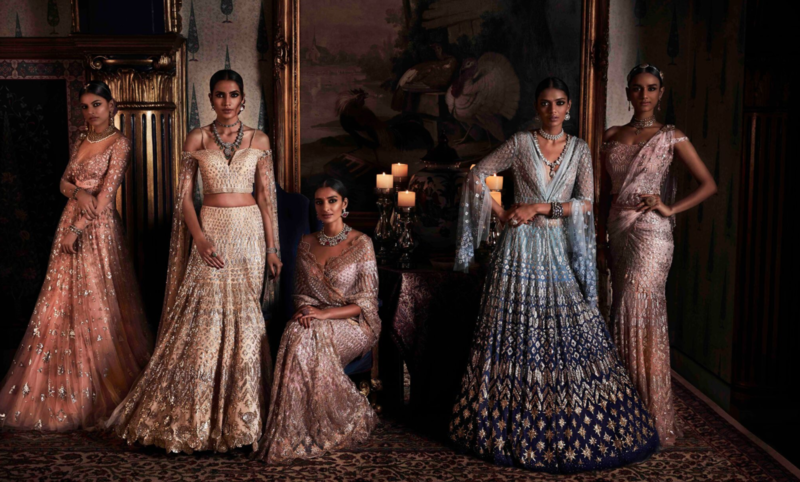 Some of India and Pakistan’s most celebrated designers will once again descend on the Capital to present their latest bridal and couture collections on one high-end platform, from established, A-list fashion houses to the most sought after new-gen talents. Showcasing alongside them will be the leading names in fine jewellery, accessories and wedding/ occasion services, with visitors having the opportunity of meeting their favourite and wish list designers and suppliers in person, accessibility being key to the show. The full lineup of participating brands to exhibit in the Department of Clothing will be: Sabyasachi, Tarun Tahiliani, Gaurav Gupta, Rimple & Harpreet Narula, Astha Narang, Bageecha, Elan, Gaurang, Mishru, Samant Chauhan, Shantanu & Nikhil, Shehla Chatoor, Shyamal & Bhumika and Varun & Nidhika.